It’s been a while since I’ve posted (lots of kitchen renovation excuses) and to show my contrition, I want to share some goodies with you! I recently got a LOVELY box of Tonic Studios dies and just had to dive back into Periscoping by sharing the unboxing. 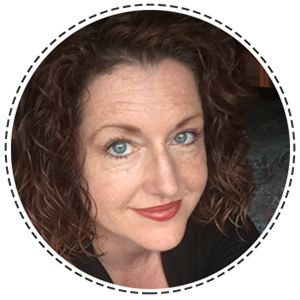 Just a quick reminder here- I do live broadcasting via Periscope, and you can catch my live (and chatty) shows there. You can watch them on your mobile device, or on replay on your computer. I also usually publish my videos to YouTube before they show up here on the blog. And sometimes I don’t even share them here, so to get all of the videos straight to your inbox, make sure you subscribe to my YouTube channel and click the gear icon to make sure you get the notifications. Usually it’s 2 videos a week, so it’s not like you’ll be swamped! Products provided for review purposes; however the brand has no control over the content and I was not paid to review them. Opinions are honest and based on my first-hand experience with the product. This post may contain affiliate links. That means at no extra cost to you, if you purchase something through one of those links, I will receive a small commission. So…. I edited down by Periscope a bit to show you the amazing WORD dies they’ve come up with. And I had to play a bit, too! I made all of these (except Enjoy Today) in about an hour. You can probably tell that the Nuvo Drops aren’t even dry yet! 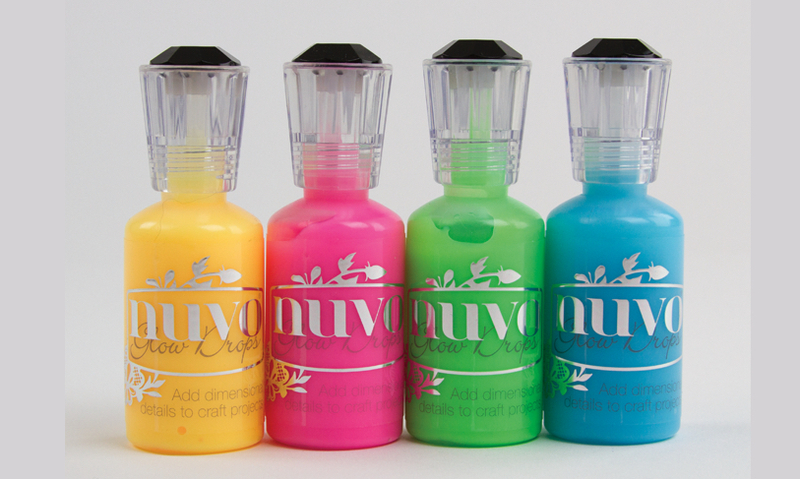 I love Nuvo Drops- click this photo to shop for them! As I mentioned, I DO have Tonic Studios goodies to give away-three, in fact! It’s going to be a simple giveaway- here are the rules! And if we are in some special FB groups, you may see even more “Secret words” for MORE entries! YES- Upwards of FOUR CHANCES! Each separate comment is an entry. Using 2-3 “secret words” in one comment will only count as ONE ENTRY. You must leave separate comments! Comments are closed on this post. Thanks for playing! Love hello card and Die-ing for these. The sea shell card is so cute. I think the hello with the blue watercolor background is my favorite. I like all your cards. Love word dies, I’m a total sucker for them, in fact. My fav that you used on cards is the starred Happy Birthday. I’m die-ing for them! I like enjoy today.. reminds me it’s got warm up sometime. Hello again. Thanks so much. I’m die-ing for them. I like all the cards, but my favorite is the second hello card. Wow, you got so many goodies , my favorite is blessed . I’m die-ing for these !!! Hi Jenny, I like all your cards so it’s a little hard to choose, but I am going for the Hello card with the washi tape and the Nuvo drops! Thanks for doing a giveaway! I love all of your cards but my favourite is the Happy Birthday one with the seashell one a close second. 🙂 “I am die-ing for them!” You are so kind to share with us! 🙂 Thanks for all that you do! I loved the unboxing on YouTube of these gorgeous dies and love the Hello card – not sure if the ‘Uncle’ die was an omen as I’ve just lost my dear Uncle ( he was more like a father to me)- i don’t often watch unboxing videos and I just thought it was quite strange that the ‘uncle’ die kept appearing- I would love a chance to win that one alone. Good luck to everyone…thank you Mand XOXO. I love the turquoise Hello card – that’s so adorable! I’m dying for these 🙂 They really do look cute and I love that there are so many sentiments, they are always so useful. I’m die-Ing for these. I too love dies. I’m going to check out Tonics web page. I really like the hello card. Colors are beautiful. Thanks for sharing. I am die-ing for these! Love all your new die Tonic rocks !!!!! Thank you for the chance to win a die I love the hello card !!!! I am crazy about the designs of most of these dies and that they’ve included the whole “fam-damnly”, as my dear Mom used to say. Ha! Especially love your “Hello” card. Thanks for sharing these gems. Excited about your reno – hope you share the results with us, too. Thanks! I’m die-ing for these. Watched on yt and IG. The dies are so cute. Hello is my favorite card and I’m die-ing to check all these out and win. I love both the Birthday cards. Very clever using the negative space! I love the Enjoy Today card. And the Hello with the washi! Thanks for the chance to win! I would be Dieing if I got a box like that! Jenny and Tonic ROCKS! Love catching your many adventures. Thanks for the chance to win. I’m “die”-ing to win these! Loved your video on Youtube. Sending you a “Big Hello” from Long Island NY! I’m die-ing for these. Great dies. Love the birthday cards, with watercolor effect, and the negative space. I love that first birthday card! I’m die-ing to win cause I’m a craft junkie!! I’m die-ing for these! I like the second hello card with the stripes the best. Thank you for the chance to win! I am not great at following instructions but a Big Hello to you! I want to hoard these! I like the Enjoy Today card. What an awesome giveaway! Tonic Rocks! I like both the Hello cards best, but they are all cute. I’m die-ing for these! I love your first card….the HELLO watercolor card the best but frankly they are all fabulous! I’m die-ing for these! Thanks for the chance to win. I love your hello card with the different sized washi tape! Great idea for multiple types of cards!! My favorite is the Birthday Wishes card where the sentiment is on the b&w washi tape! I am a washi tape junkie! Big Hello from Northern Illinois. I like the Hello card with the watercolor background. I’m dying for these because Tonic Rocks!!! It’s really hard to pick a favorite, but my first instinct was the washi tape Hello card. Great job on keeping the washi tape so straight and consistent. All are beautiful. And hey, if I should get lucky enough to win something, yippee! I like the blue birthday wishes card best. This will be a challenge for me because I am not vigil in following blogs! I love both of the hello cards. I love both of the hello cards and I’m a stamp junkie!!! I’m die-ing for these! Good haul, m’aam! Here’s a “Big Hello!” I started following your insta. I’m die-into WIN!!!!! Really like the hello card and the birthday wishes. I am dieing for these. Love word dies! I’m Die-ing for these! I love the simpler cards. Using the die with nothing but washi tape is very minimalistic and VERY pleasing! It was great seeing you again!!! Love all your videos and especially this one because I’m Die-ing for these! I’m DIE-ing for these ! My favorite is the Enjoy Today watercolor shell card. Thanks for a chance to win. “I’m Dieing For These!” I don’t have any 2 layer dies! They look like fun to use! I really like your “Enjoy Today” card! I love all the color mixes that you used for it! And I also like the Shell that you put on it too! Your video was very enjoyable! You gave me some really good ideas for usages of dies! Like not just putting them on the outside of cards but also putting them on the inside too. I am very new to card crafting! So thank you for all your great tips! Also I see you are a cat lady! me too! I have 2 cats! I just love cats! “I’m Dieing For These!” WooHoo! Lol! I love the hello card. I love the sea shell card and the colors used. As a stamp junkie I love the pop of colors. I like the “Enjoy Today” card, that big ol’ sea shell strikes my fancy. I’m die-ing for them! I am die-ing for a chance to win. I love the Hello card and I’m die-ing for them! I’m dying for these is my special phrase. My favorite card is the Hello with the vertical washi strips. People know the craft I’m working on. My favorite card is the hello with the vertical washi tape. I like the Birthday Wishes with the fun splash of Washi. Dying to get my hands on some of these dies! The top hello card is my favorite. I like the inking you did! I love the “Hello” card make with the washi tape! I like the Enjoy Today card. Of course the others are great too. Sending you a “Big Hello” from California. I am ‘die-ing’ for them… LOL. I like the Hello card. Great job as always… have fun with the kitchen renovation. I love the Enjoy Today card! The shell card is lovely. I love the way the dies blend together. Very pretty. Wow, I am die-ing to try all of the Halloween dies. They are amazing. I like BOTH Hello cards. I am a Stamp Junkie because Stamp Junkies enable me. Love the Hello card. I like all the colors. I like Enjoy today seashell card the best. Thanks for giveaway! Quick Question: Do you have a link for the “Uncle” die? I searched for that die on the Tonic site and it said that they didn’t have that one. Been awhile since I was called a Junkie Thang!!! Gotta think about that one….lol. Happy Weekend! Love them all, but the washi “Hello” is my favorite. Watched the Periscope but it didn’t have My sound so I don’t know the secret phrase… ? Watched the Periscope but the sound kept going in and out…? I’ll hope Tonic Rocks is the secret phrase, cuz they do! The seashell card is so pretty and my favorite. What a great die-ing giveaway you are doing! Thanks! I’m fairly new to the stamping and die world. So Tonic rocks! I saw your post on craft hoarders. And here’s a great big Hello. I like the birthday wishes with the variegated words. I like the hello card the best. Sending you a Big Hello from Oregon. Tonic Rocks and so does crafttestdummies. The periscope broadcast was fun, & it’s always a treat to see you. My favorite card is the seashell stamp one. I’ve loved that stamp from its first appearance. Thank you for the smiles & info you share!!! ??? My hearts turned into question marks in above comment. Funny! I love word dies & am especially die-ing for the words designed like “blessed” & “peace”! (If, by chance, I am blessed to win, I may miss an email due to having a spinal stimulator trial starting April 27th. Will send you an IG message.) Love you!!! Tonic Studios word dies & other products rock!!! I like the first Hello card. Very nice colors. Loved your die revelations, cards, and your curious cat. I loved your last patterned paper striped, “Hello” card. “I am die-ing for this!” TFS your cards and the Tonic dies. ??? S with the drops added. I’m die-ing for these, great giveaway! I’m die-ing to win these. Great video. Enjoy today is my favorite ? I like the birthday wishes saying over the washi tape. I love the first card. The water color blending is so etherial looking. PS: Tonic makes such great products. I am die-ing for these! I’m die’ing for these. Love word dies. Love the hello speech bubble card. Could use it for any day. Oh my, it was so fun watching you unbox all these yummy dies, I know you’ll be having loads of fun creating, thanks for sharing! Yes I’m “DIE-ING” for these! Here’s a Big Hello from Ky! Loved your hello card with the wash tape running vertically, cute! I’m “die-ing” for these! Thanks for the chance to win such beautiful dies. I love the ‘hello’ card. Die-ing is my favorite hobby.–hello. I love the Birthday dies, the best, but I love ALL of them! I am a die fanatic, and am die-ingntonwin any one. They are super word dies and ie pull love any one of the,! Thank you for doing this! I really like the 2nd Hello card which looks like you used washi tape. Watched you unbox the mother-load of dies and I can truly say “Tonic Rocks”! I’m die-ing for these! Hope I’m a lucky winner! A “Big Hello!” to you Jenny. I’m a card/craft stash “Junkie”! I’m die-in for these dies.???? I’m die-ing for these. Thanks for a chance to win. Stamp junkies are the best and kindest people. The first card is my favourite. Thanks for the opportunity. 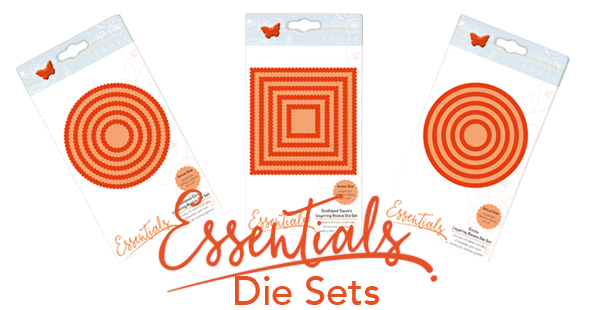 These sentiment dies are lovely and I’m die-ing for these to add to my stash. Love that “Big Hello” die. All this great stuff from Tonic rocks! I LOVE the Birthday card with the multi blue background. I’m die-ing for these. Love the let it snow and birthday wishes. Jenny, the striped, Washi tape Hello, card #4, is my fav. TFS these cards! “I am die-ing for these.” You do have a trove of extra dies.???? Love the hello card with the blue background. These word dies are the bomb…Tonic rocks! The cards are all great, but I especially liked the watercolor one and used the colored cutout on another card. I envy you getting so many new things to play with. I’m a junkie too, but you get more “stuff” than I do. Love Love Love the Hello card! They are all awesome though! Thank you for sharing all that you do! I am Die-ing for a chance to win these! Thank you for sharing! We’re all craft junkies at heart. I love the beauty and simplicity of the Hello card. Big Hello, Jenny…thanks for the opportunity. I am a craft “junkie” for sure!!!! My favorite is the Enjoy Today card. I love the “Hello” card and the color is yummy! I am die-ing for these ? I love the Seashell card.The colors are beautiful and I’m just Die-ing for these!!! I really do love the “Big Hello” card as well as others. I love the hello cards. Especially the first–the background is gorgeous. I’m die-ing for these! 😀 Thank you. I love these dies from Tonic. I love all the cards, but my favorite is the one with the sea shell. Also, I’m “DIE-ING” for these! I like the last card best. I have a thing for the color teal. I’m “DIE-ING” for these! Thanks so much for sharing the wealth. Me and my UNCLE both can’t wait for more videos! I love the Birthday Wishes card the best but the other ones are nice too. “Big Hello!” to you all!